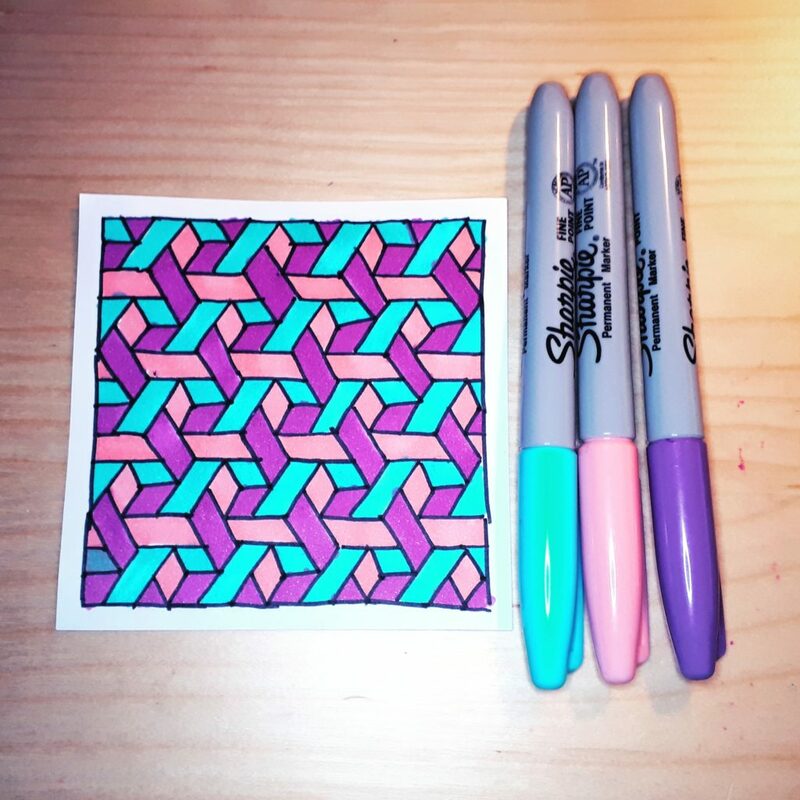 Naming my coloring patterns is part of the fun! 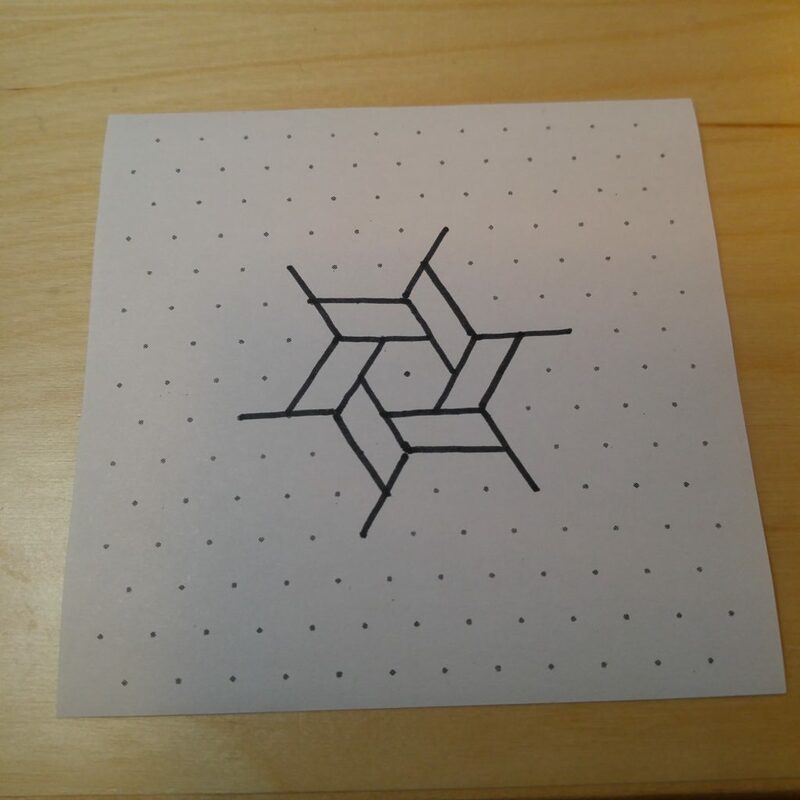 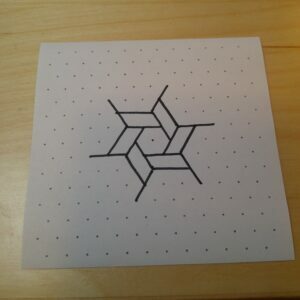 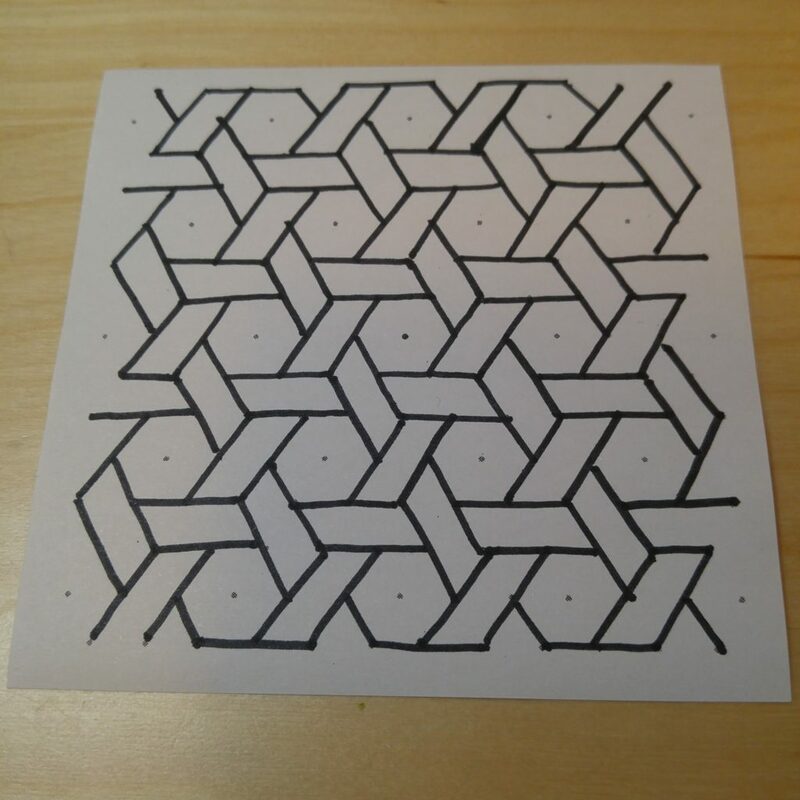 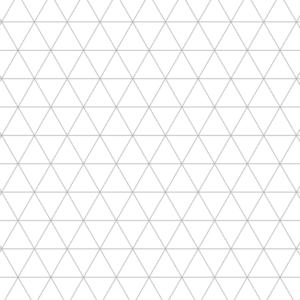 I named this pattern “Hexed Cubes” because, well, it’s cubes surrounded by hexagon interlaced pattern. 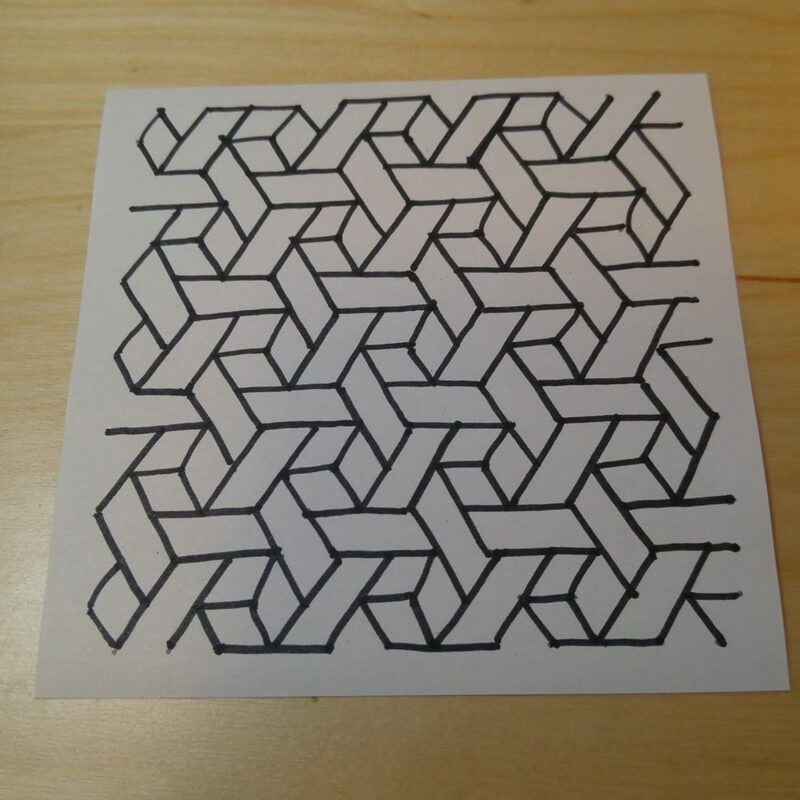 But when I looked up the word ‘hexed’ it apparently also has a meaning of ‘cursed’ or ‘bewitched’. 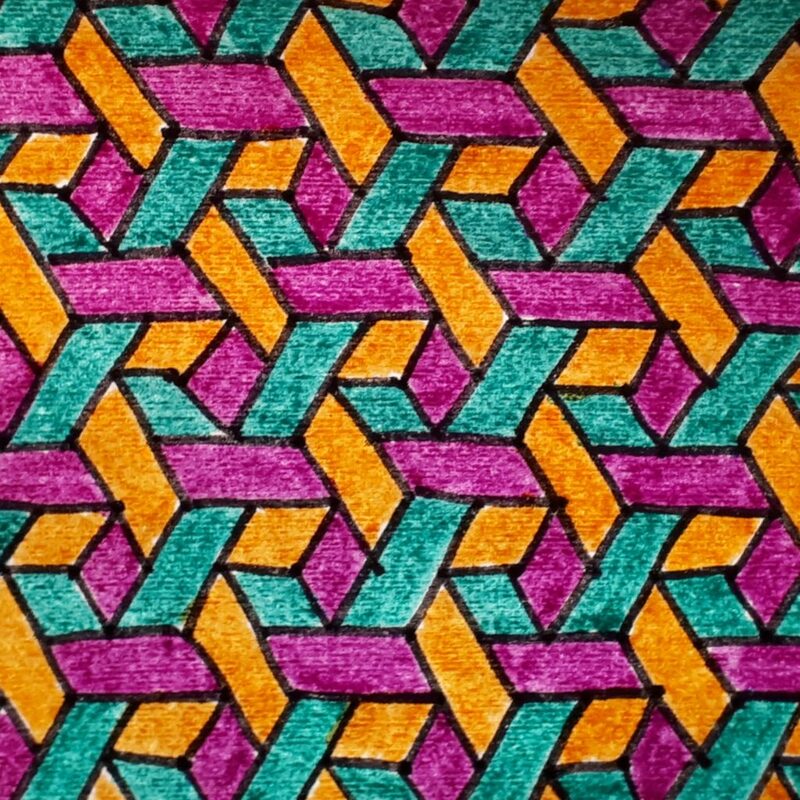 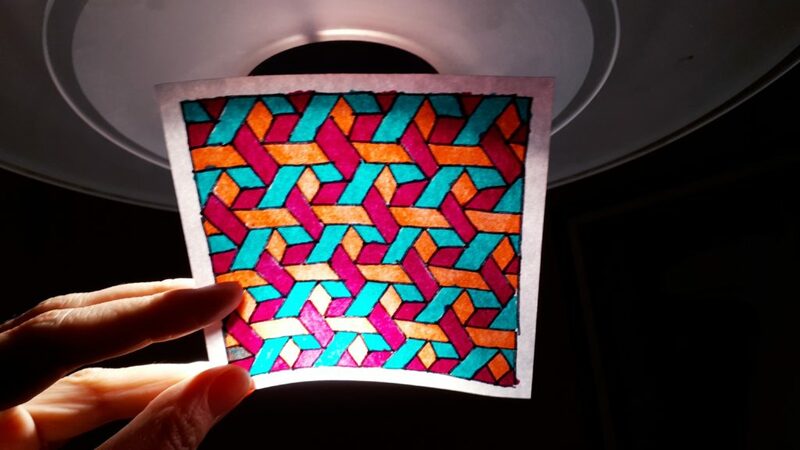 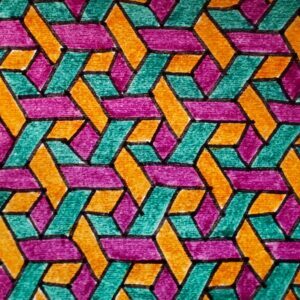 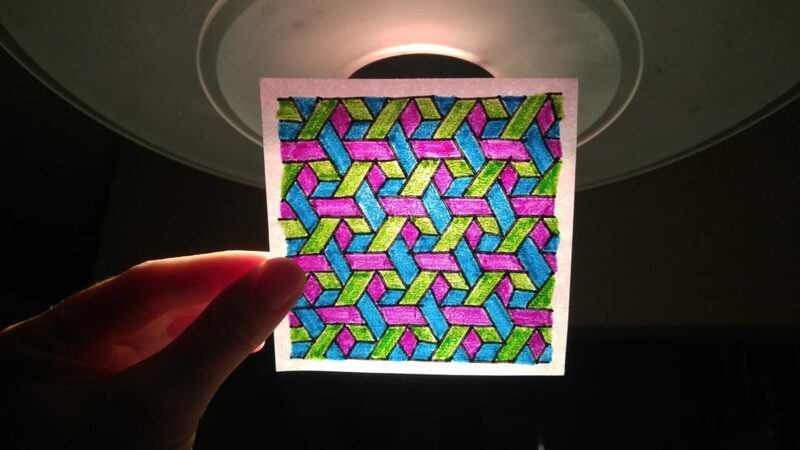 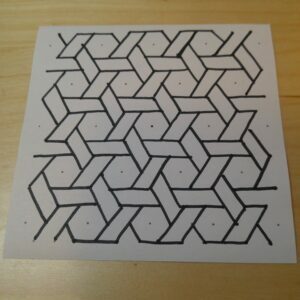 Well, drawing this pattern will not put a spell on you but will definitely create the meditative effect. 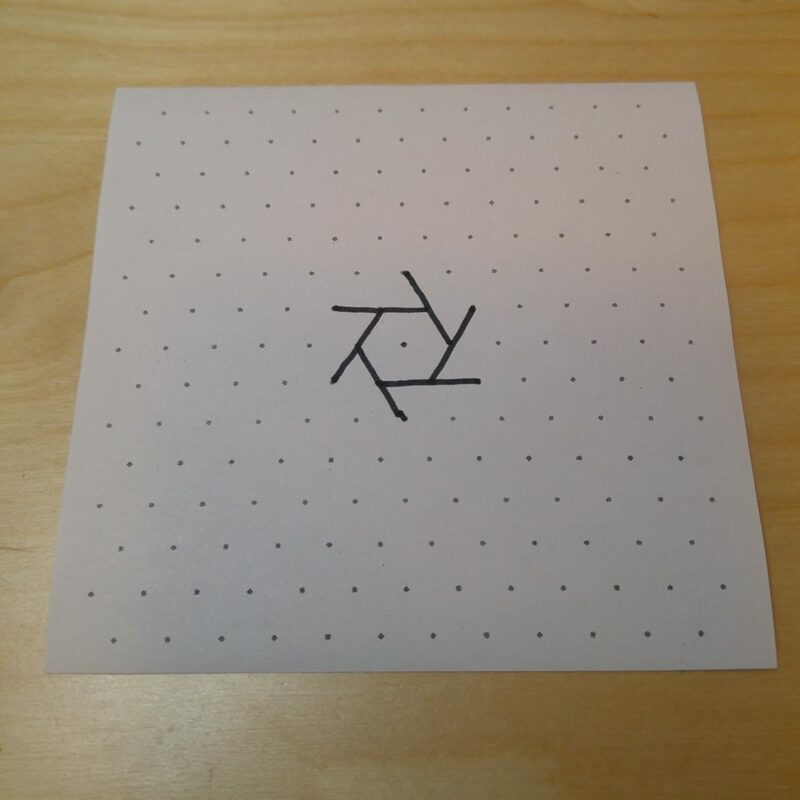 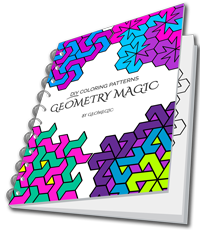 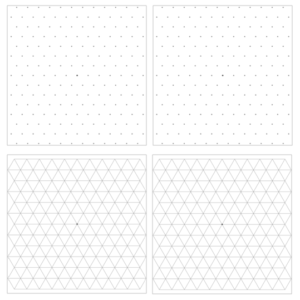 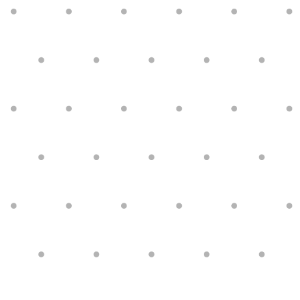 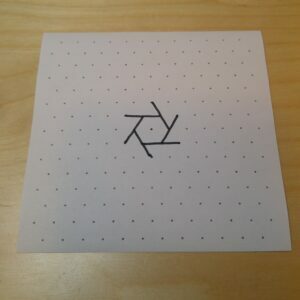 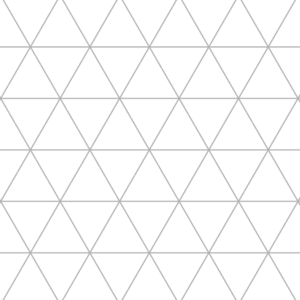 It’s a page filler, triangle grid-based pattern and you can draw it on any size triangle grid or triangle dot page. 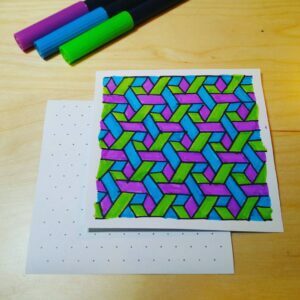 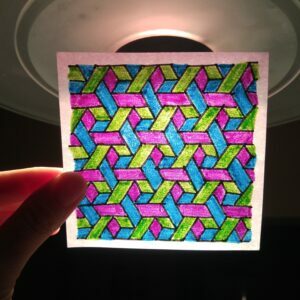 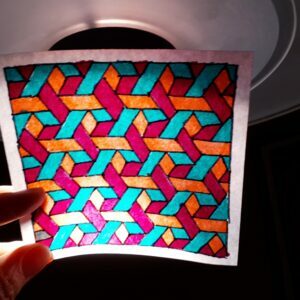 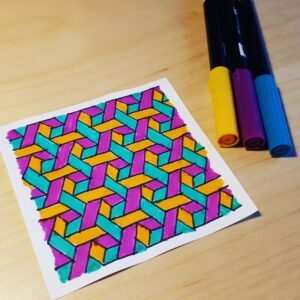 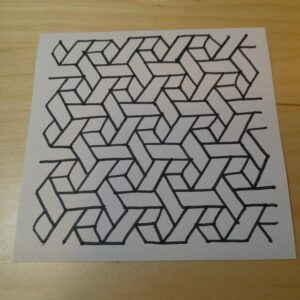 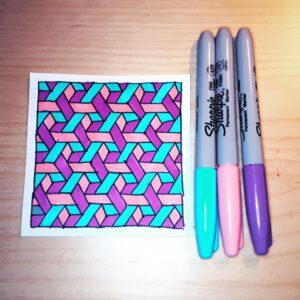 I’ve noticed that page filler patterns, with a lot of repetitive lines and strokes when colored, produce a meditative effect so if you are looking for a simple way to relax while enjoying a simple drawing and your favorite colors this is a perfect way for meditation, relaxation, and a quiet moment.